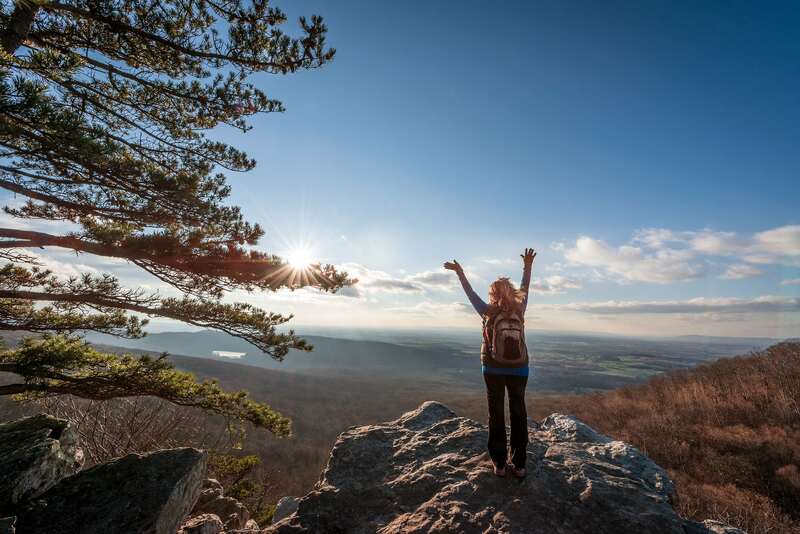 Lace-up your hiking shoes and get ready to explore the many trails in Montgomery County, Maryland. Here are a few options to consider the next time you’re visiting the county. Looking for more hiking trails? 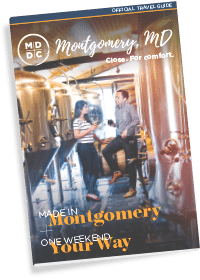 Visit the Montgomery Parks site for additional information. Named after Maryland native and arctic explorer Matthew Henson, this 4.5 mile trail begins at the intersection of the Rock Creek Hiker-Biker Trail and Winding Creek Local Park. Running along Turkey Branch – a tributary of Rock Creek – you’ll find hikers, bikers, and equestrians of all skill levels exploring the local flora and fauna. Enjoy hiking and horseback riding on almost 4 miles of natural surface trails that wind through the scenic Agricultural History Farm Park in Derwood, MD. Blockhouse Point Conservation Park is an area rich in the natural and cultural history of the Potomac Valley. This approximately 630-acre park contains a variety of exceptional resources. Many of the existing trails in Blockhouse Point Conservation Park are part of the historic Civil War complex for which the park is named. They are a vestige of the transportation system that furnished material and supplies to the men who were stationed there. These historic routes have been used for more than 140 years. The Capital Crescent Trail follows an abandoned railroad right of way and extends 11 miles from Georgetown, in the District of Columbia, to Silver Spring in Montgomery County. Approximately 5.5 miles of the trail are in Montgomery County. The trail, one of 500 rail-to-trail projects in the nation, traverses neighborhoods and parkland and includes stretches along the Potomac River. The trail is the most popular trail in Montgomery County. Oakley Cabin is a 19th century African American historic site. Built as one of three slave dwellings in the 1820s, the cabin was the center of an African American roadside community from emancipation well into the 20th century. The dwelling, inhabited until 1976, is now operates as a living history museum. Montgomery Parks honors Ms. Rachel Carson, an outstanding American writer, environmental activist, and County resident, by conserving 650 acres in the Brookeville area of Montgomery County in her name. This park is one of the county’s premier conservation areas and best natural areas with more than six miles of natural surface trails for hiking and equestrian use. Like other M-NCPPC conservation parks, the Rachel Carson Conservation Park contains some of the best examples of park natural resources in Montgomery County. The Underground Railroad Experience Trail at Woodlawn Manor Cultural Park evokes the experience of enslaved freedom seekers traveling through Montgomery County on their way to safety in the north. Those escaping utilized a network of secret routes and safe houses rather than railroad tracks or tunnels as the name might suggest. The trail is part of the National Park Service National Underground Railroad Network to Freedom program.